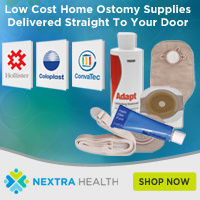 When it comes to Ostomy Supplies there is an overwhelming number of options and sizes, patented technologies and brand names. Then you further add to the complexity with HCPCS codes, pouch colors & material selections. Add all of these variations up and you end up with hundreds of product codes to choose from in lists and catalogs overwhelming for consumers, physicians, and nurses. So anyway I’ve made it a goal of mine to put this information online the best I can in an organized format similar to a tabbed product catalog to make it convenient to find the correct features and codes online. Since Hollister is one of the bigger brand names in Ostomy, I started by doing a product catalog for their products first. Even doing this, there is still no reference point on prices for any of these products, so I’ve linked many of the product codes to the correct product on NextraHealth.com. You can see the new Hollister ostomy catalog here. I found building this with tabbed navigation and tiny thumbnails to be useful for my own personal reference and I felt other people may find it useful, so it really made the most sense to just put it online. 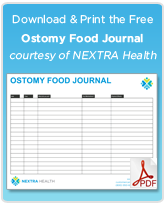 Of course, if you do find it useful, your feedback would be greatly appreciated, and I’ll add catalogs for the other brands of Ostomy supplies. See the Hollister Ostomy Product Catalog.